The award-winning designer Nina Granerod founded her FWSS (Fall, Winter, Spring, Summer) label after graduating from the respected Central Saint Martins and being left inspired to help the fashionable needs of every modern-day woman. 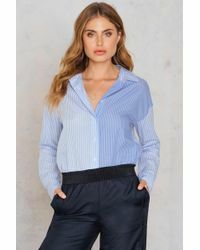 Offering a style to suit all casual, smart, day and evening occasions, FWSS tops reflect a contemporary, unfussy, Scandinavian aesthetic, which merges the boldness of masculinity with the elegance of femininity. 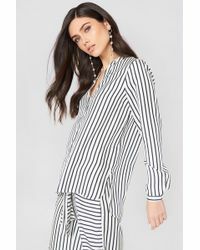 From decorous blouses to mesh vests and abstract shirts, this eclectic line is available in either soft, monochrome shades or busy, floral prints. 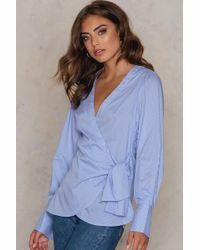 Whether you prefer a conspicuous or decorous wear, FWSS tops can be as eye-catching as you desire and suit all year round.